Playwright/Actress Charlayne Woodard – currently seen in the solo play THE NIGHT WATCHER at Primary Stages – will join previously announced Colman Domingo (currently seen in his one man play A BOY AND HIS SOUL at the Vineyard); Sherie Rene Scott (of last season’s one woman show EVERYDAY RAPTURE at Second Stage) and Becky Mode (author of the highly successful one-person show FULLY COMMITTED, which debuted at the Vineyard and transferred on to a commercial Off-Broadway run at the Cherry Lane Theatre) for the inaugural VINEYARD VOICES — a new series of panel discussions featuring artists and theatre professionals connected to the Vineyard Theatre, including casting directors, performers, playwrights, etc. to discuss topics of interest to theatre-goers and artists alike — on Monday, October 5 at 7pm at The Vineyard (108 East 15th Street) in Manhattan, with GOING SOLO – a discussion of the artistic possibilities and unique challenges of creating and performing one-person plays and musicals and why the solo show is back in a big way this season, both on and Off-Broadway. On Monday, December 7, the 2009 VINEYARD VOICES series concludes with Nicky Silver AND HIS LEADING LADIES — an evening featuring playwright Nicky Silver who has had 6 world premiere plays produced at Vineyard Theatre including PTERODACTYLS, RAISED IN CAPTIVITY, THE MAIDEN’S PRAYER, THE EROS TRILOGY, THE ALTRUISTS, and BEAUTIFUL CHILD. Leading ladies joining Mr. Silver will be announced at a later date. 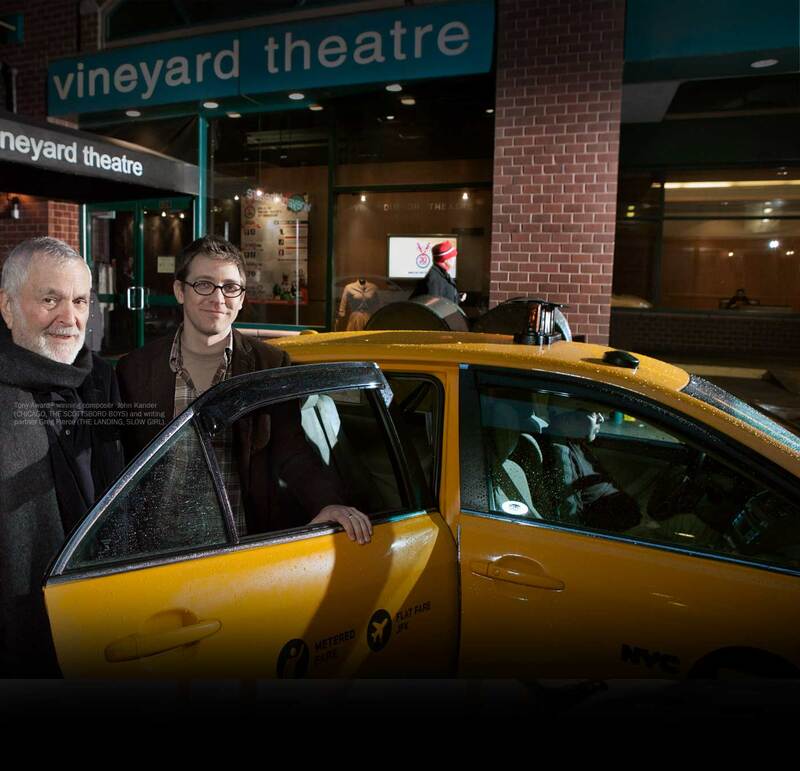 Douglas Aibel is the Artistic Director of Vineyard Theatre; Jennifer Garvey-Blackwell is Executive Director. The VINEYARD VOICES Fall 2009 series runs the first Monday of each month at 7pm: (October 5, November 2 and December 7). Tickets are $20 for individual discussions or $50 for the full three-part series. Tickets are available at www.vineyardtheatre.org, in person at The Vineyard box office (108 East 15th Street) or by phone at 212-353-0303.